CDN stands for Content Delivery Network. It is, very simply put, a network of servers, which are distributed over various locations around the globe, which help delivers web content faster to the user based on their geographic location, the origin of the web page and a content delivery server. 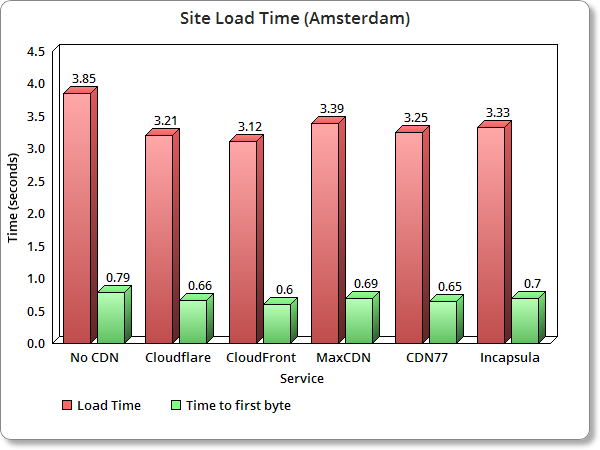 In this article we will do a CDN performance test between some of the top CDN providers. Let’s get straight to the test. 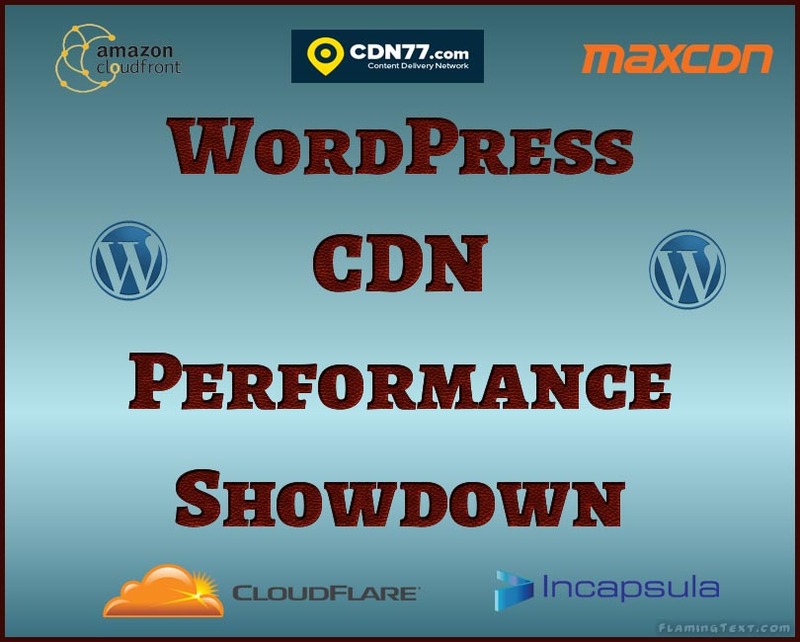 In this test we will be comparing the performances of the most popular CDN service providers being used for WordPress sites. There will be 2 tests, for website speed test from different locations around the globe and a Load test performance benchmark test. We have only considered the WordPress CDN providers which offer a free or a trail plan. If you wish to see more CDNs added to the list, please feel free to drop in a comment below. Since the server on which our test site is hosted, is located Dallas, we see there isn’t much difference in the Load times between CDN enabled and non CDN enabled test, but as we test from different continents we see this gap increase a lot. This really stress on one of the main benefits of a CDN. The results clearly show that CloudFlare, CDN77 and Amazon CloudFront have performed better than the other services in terms of load time. The second test is an application load test on http://loadstorm.com/. This will test the site for 10 concurrent users sending requests to the site over a period of 10 minutes. 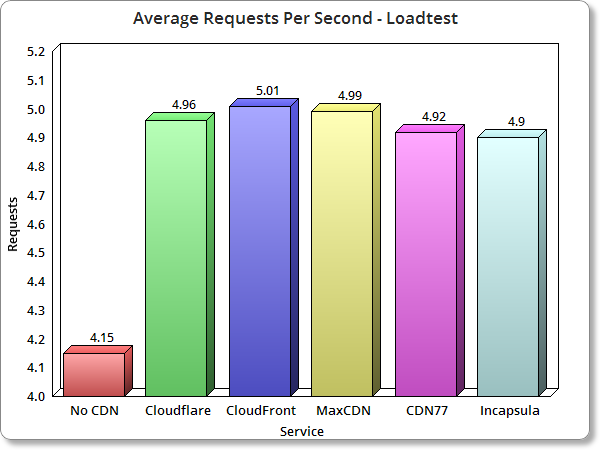 From this test we will look into the ‘Requests per second‘ and the ‘Response time‘ parameters for each CDN. 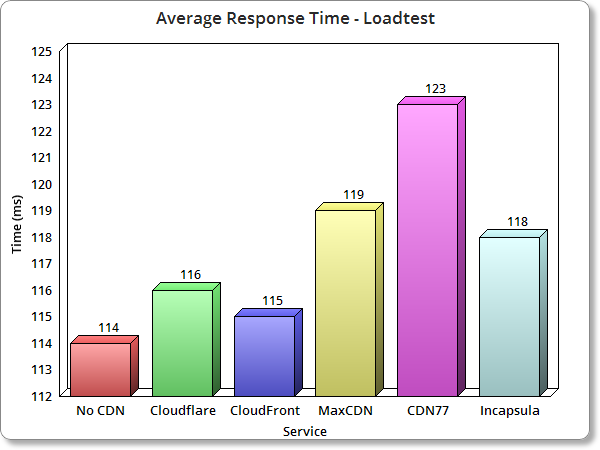 The Average response time result may look surprising but it shows a high value for the CDNs because almost all the CDN providers gave a very high Peak Response time value. This was right at the start of the test, but once that stabilized, the response times were less than those of the site running without CDN. Again in this test we see that CloudFlare and Amazon Cloudfront did better than the other services. Bit of an epic typo there! That’s a great comparison you did there. 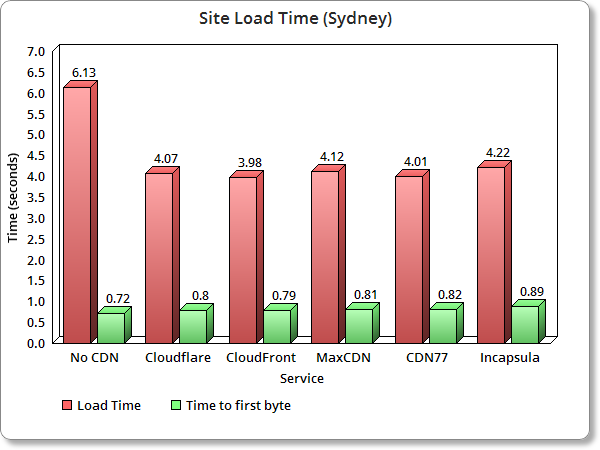 I think Cloudflare is the best CDN out there. Haven’t used Cloudfront but I have been using Cloudflare for a while now and it’s super. I have written an installation guide of Cloudflare on WordPress (https://www.wpblog.com/configure-cloudflare-cdn-on-wordpress/) as I have always fancied this CDN over others.